The stolen tabernacle, ciboria and hosts which were taken from Meedin Church as part of a raid on Catholic Churches across Westmeath and Offaly last week, were discovered discarded not far from the Church near Tyrrellspass. The tabernacle is believed to be severely damaged, and well as the ciborium and the sacred host which was contained within it. Meanwhile there has been no further information on the valuable goods take from Walshestown Church, which included a chalice dating back to 1906 that is believed to be lined with gold and precious stones, as well as a second chalice, two candlebras reported to be worth €600, a gold ciborium valued at €400, Holy Communion Plate €200, safe worth €200 taken from Walshestown Church. The burglaries were discovered by caretakers early on Wednesday morning last, October 20 following raids the previous night. “They are damaged but at least they are back, thank God,” said Fr. Paul Crosbie. 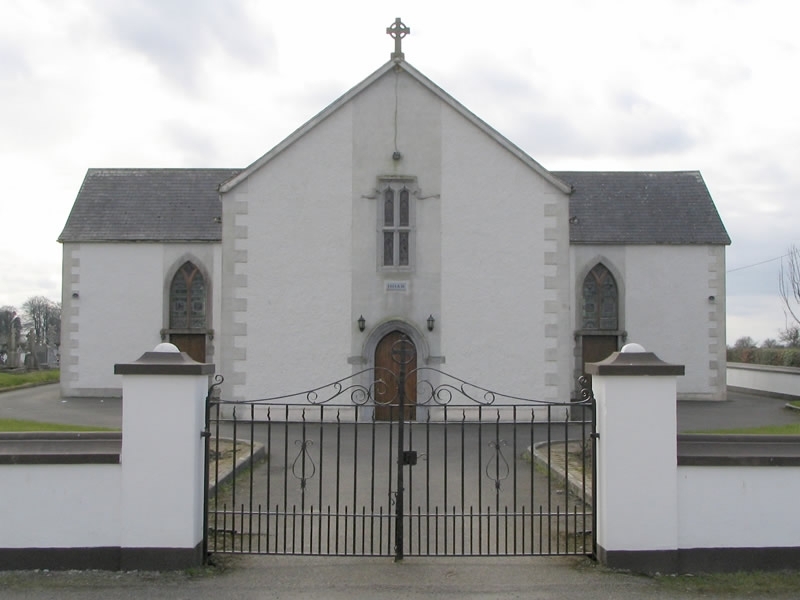 Parishioners in Rahan, near Tullamore, Co Offaly, were also told to be extra vigilant by Fr John McEvoy, who urged them to ensure their cars were locked, after a break-in at St Patrick’s Church, The Island also on Tuesday night last week. Gardaí continue to appeal for information on the break-ins which they have referred to as “a well-planned raid”. “Access was gained to Walshestown and Meedin churches by forcing the front doors open,” said a Garda spokesperson, who went on to say that chalices, ciboria, communion pates which were taken, the marble surrounding the tabernacle in Meedin was badly damaged, as were the confessional boxes in both churches.